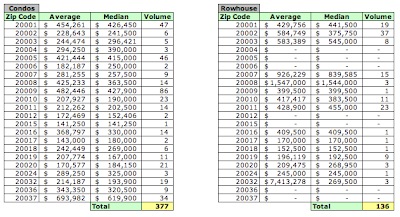 On the heels of last week's posting about sales recorded in DC in October, I've completed a similar analysis for November's recorded sales. 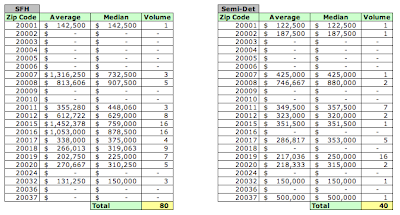 Pricing trends remain negative, with average and median sales prices being negative in November YoY. 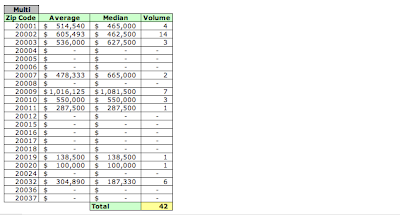 In the aggregate, pricing and volume metrics are lower YoY. 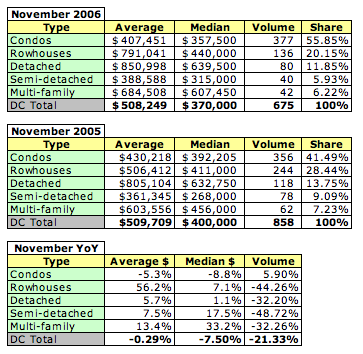 Condos maintain their 50%+ share of the DC housing market. 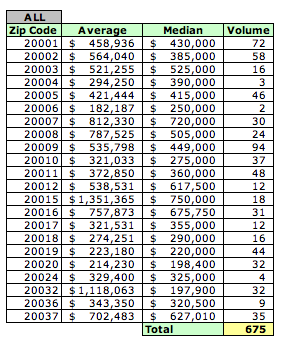 My belief is that the closing of new condos, including the 141 listed above, gave the condo market a boost on the volume side.